Formula Femme hosts a skills clinic for Women/Trans/GNC riders each month at Kissena Velodrome in Flushing, NY. This clinic will be for the rider who has already taken an intro to track course and wants to sharpen their skills and learn more. Each clinic will begin with a structured warm-up, followed shortly after with on-the-bike race training. After practice, we will host an unofficial omnium for participants with fun prizes to be won. Please read all event notes and requirements on registration page. Registration closes at 3pm the day before clinic. A 2 day clinic for riders who have never ridden on the velodrome and would like to partake in track racing at Kissena. Open to all riders with USA Cycling road/track/cyclo-cross license; one-day licenses can be purchased online ONLY for $10. $20 entry fee per day. Participation in both days is not mandatory; but riders taking the advanced clinic must have participated in a previous Kissena clinic. Rainouts will not be made up. Clinic is limited to 15 total participants. Coaching services provided by Finish Fast Cycling. There are a limited number of rental bicycles available; please sign up for the rentals when registering. Rental registrations are on a first-come, first-served basis. If you have your own pedals please bring them to put on the bikes. Featuring guest coach Christine D'Ecrole! 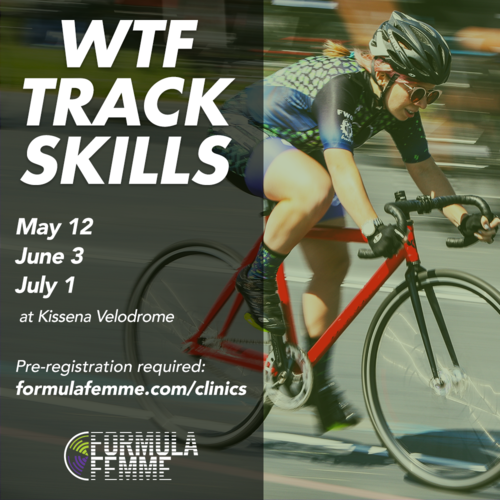 Formula Femme hosts a skills clinic for Women/Trans/Femme/GNC riders each month at Kissena Velodrome in Flushing, NY. Due to popular demand, this clinic is open to riders of all skill levels! Please read all event notes and requirements on registration page. Registration closes at 3pm on June 2, 2018. A 2-day clinic over two weekends for riders who have never ridden on the velodrome and would like to partake in track racing at Kissena: the first weekend is an intro, the second weekend will cover more advanced techniques. Open to all riders with USA Cycling road/track/cyclo-cross license; one-day licenses can be purchased online ONLY for $10. $20 entry fee per day. Participation in both days is not mandatory; but riders taking the advanced clinic must have participated in a previous Kissena clinic. Rainouts will not be made up. Clinic is limited to 15 total participants. Coaching services provided by Finish Fast Cycling. View the race flyer here and register here. 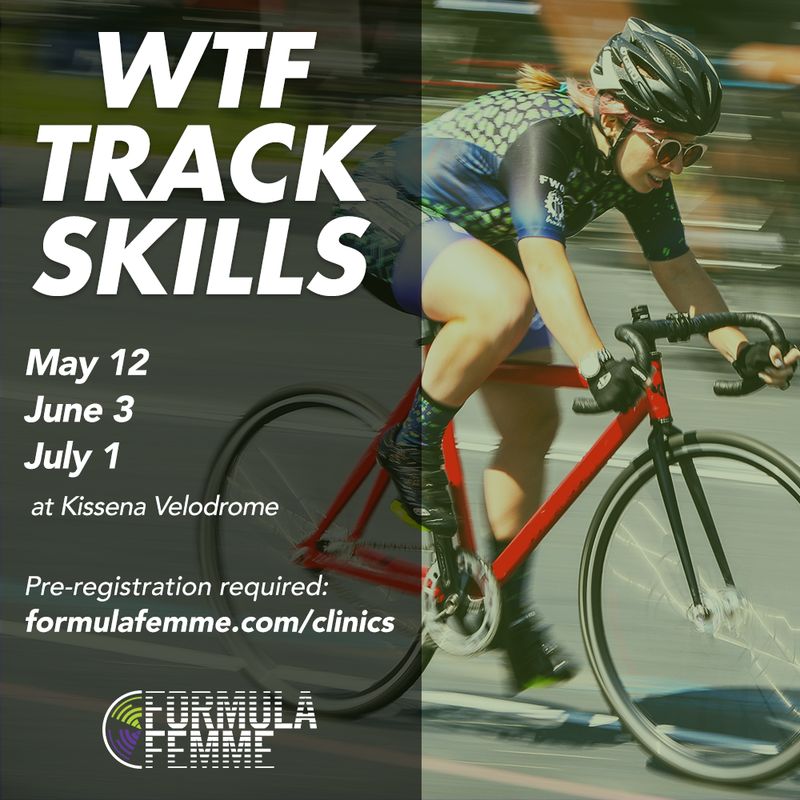 Formula Femme will be hosting a skills clinic for Women-Trans-Femme GNC riders each month at Kissena Velodrome in Flushing, NY. This clinic will be for the rider who has already taken an intro course and wants to sharpen their skills and learn more. Each clinic will begin with a structured warm-up, followed shortly after with on-the-bike race training. May 12, 1pm-4pm : Mass start races and tactics. After practice, we will host an unofficial omnium for participants with fun prizes to be won. A 3-hour structured track training/education session. View the race flyer here and register here!